Everyday our dentists see many patients from the Adelaide Hills region for toothaches and emergencies. A number of years ago, our dentists decided to construct a “Toothache Policy” for patients from the Adelaide Hills community. 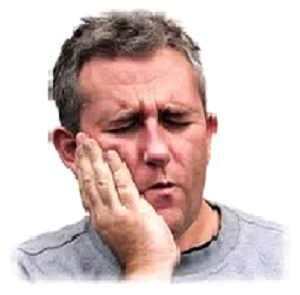 Whether you are a patient of one of our dentists or another practice in the Adelaide Hills Area, we will ensure we see you on the same day or the following day for toothaches because we know the stress an untreated toothache can cause. At Balhannah Dental Practice, our policy ensures that whether you are one of our regular patients, or new to our practice, we will see you in a timely manner to ensure the best possible outcome and relief of pain. In these appointments, we will endeavour to relieve you of pain on the spot. We will then formulate a plan with you, so you know exactly what needs to be done, how much it will cost and how many appointments are necessary. At Balhannah Dental Practice, we are open late evenings and also Saturdays to give you ample opportunity to schedule your visit around work commitments. Many of our patients work in Adelaide city, so being an after hours dentist allows them the convenience to visit us. Please do not hesitate to contact us on 83884488 should the need arise. Even if you have not visited us before, we welcome all new patients. and you are unable to contact a staff member, please attend a Hospital’s emergency department for emergency attention as soon as possible.